My name is Marixa. I have been married to David for 12years. We have had the best time growing up together and growing into each other. 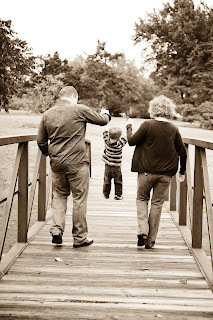 We are the proud parents of Trey, our amazing and beautiful 2year old. I am a Stay At Home Marixa (SAHM) and it's my dream job! And well, anything that I think would be interesting. Usually you will know what's on my mind, I get obsessed with certain things and that's all I think/write about for a while. So bear with me through some of my obsessions! There are a couple of blog posts that really help you understand who I am and why I'm here. One is My First Post and the other is Why I Blog. I hope that you read these and many more of my posts! And my darling husband has a blog titled In Pursuit of Life. He has also written a lovely little Christmas story and the link to that is I Believe In Christmas. We would love it if you'd stop by and look around. Need Help with Decorating or Organizing?